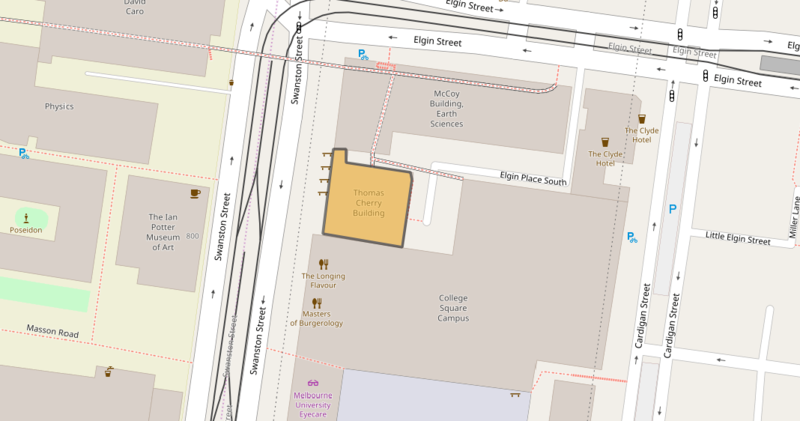 We are located at Level 3 in the Thomas Cherry Building on the corner Swanston and Elgin Street, Carlton. Entrance is via Level 2, McCoy Building. Please complete your details below and submit the form. Your completed form will be emailed to us and we will respond to you as soon as possible. Entrance is via Level 2, McCoy Building, shown below.